Turbo yeast fermentations are sensitive to high temperatures and fluctuating temperatures. Here's how it works and what you can do to overheat (which means producing less alcohol). For a turbo yeast to work well, it needs a certain temperature range and ideally not too varying during the fermentation. The temperature is always the liquid temperature. The air temperature is only important when it changes the liquid temperature. The more active the yeast cells are, the more internal energy (temperature) they will create. This means that during the reproduction phase, the first 24-36 hours, the wash will create a lot of "internal" heat. There is usually a peak in the liquid temperature after some 24-30 hours. Yeast cells will die if the liquid temperature goes too high, this usually happens around 35-40 C when there is little or no alcohol present. However, should you raise the liquid temperature when alcohol is high (near end of fermentation), the combination of high temperature and alcohol will kill the yeast at a lower temperature. Alcotec 48 is one of the best turbo yeasts for temperature tolerance. If you use a normal sachet of turbo yeast to make 25 litres and follow the instructions, you should not have any major problems with temperature. If you make more than 25 litres in the same container though, there will be much higher internal heat generation and you are likely to see some problems. You will then need to monitor very closely the 30-hour peak. If you get liquid temperatures there which are too high, there is very little you can do except adjust your recipe next time (using less yeast or less sugar or both). During stress, yeast cells produce more undesired volatiles, i.e. bad taste. So this is another very good reason for trying to keep the liquid temperature as constant as possible, ideally in the 25-30 C range. Looking at only the production of volatiles, it will be better to ferment (very slowly) at 15 C, but the difference is very small and you add a lot of time to your fermentation so it is not really worth it. A "normal" turbo fermentation (6kgs of sugar into 25 litres total volume) will take around 3 days at 25 C, but it may take up to 14 days if you lower the liquid temperature down to 15 C and there is very little benefit. We recommend aiming at 25 C constant liquid temperature. This is mainly a problem in countries with very high surrounding temperatures. For larger scale fermentations (even in cooler European climates), you really need mantle cooling around your fermentation tank. With this, it is easy to set it for 25C constant temperature (liquid). Without it, you have to resort to emergency solutions, none of them very good although they might work to some extent. Emergency solution no.1: Freeze a number of 5L jerrycans with water, add these to fermentation after around 10-12 hours. This will keep the 30-hour peak down. A bit of a messy solution, but it works. Emergency solution no.2: Put a hose pipe into your fermenter, curl it up and run through cold water starting around 10 hours into fermentation and keep cooling on well past the 30-hour peak. You can probably turn it off after 40-50 hours. You will need to monitor the liquid temperature to fine tune exactly when to turn on and off cooling. Emergency solution no.3: Reduce the amount of turbo yeast used. The problem with this method is that the turbo yeast is a mix of yeast and nutrients and if you reduce the nutrients you will affect the fermentation negatively. If you reduce too much, you will get far too much residual sugar (fermentation sticks too early). Rule of thumb: Use minimum 60% of the turbo yeast according the the 25 litre recipe (re-calculated for your volume). This will need serious tweaking, but it works to some extent. Don't expect a perfect result. Emergency solution no.4: Drip feed the sugar, add it over 3-4 days a little at a time. If you add too little, fermentation will stop and you will find it very difficult to start it again. If you add too much, it will overheat. We have no guidelines here, you have to experiment. Turbo yeast fermentations will produce a lot of internal heat energy. There is a risk a larger scale fermentation will overheat unless proper cooling is used. The larger the volume fermented, the higher the risk is. 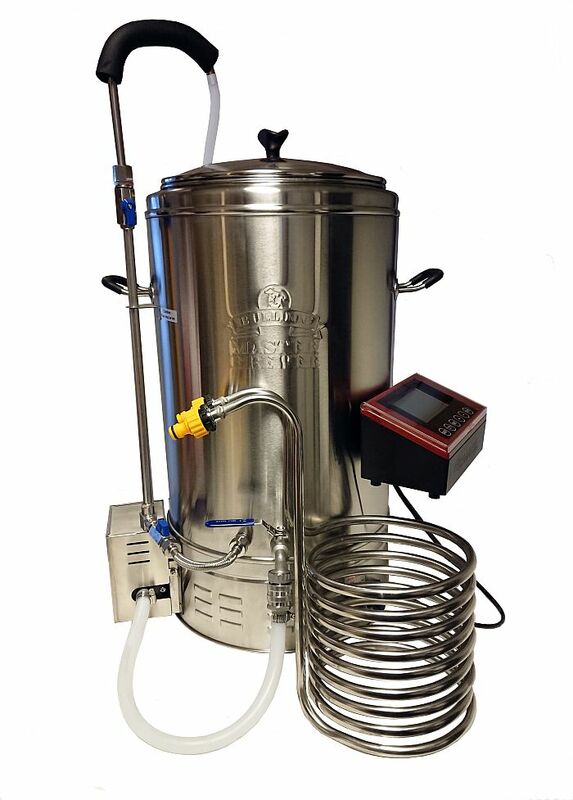 For large scale recipes (500 litres and up), it is necessary to introduce some type of cooling of the alcohol wash. Home brew alcohol distilling, alcotec turbo yeast fermentation and temperature.